Seems like, Android will be leaving behind everyone. 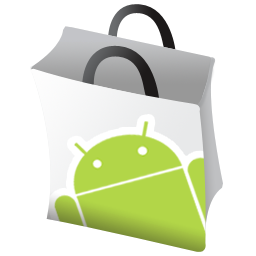 Andy Rubin, Vice President of Engineering at Google confirmed reports that the Android Market is one of the fastest growing with over 80,000 applications online in its store. Some two years back, the Android Market went online with 50 Applications and in just a matter of time, massive growth was witnessed. Just a few months back, being it July, Google while announcing the Q2 2010 earnings announced that some 70,000 applications were now present on the store online. After the launch of DROID X back in June, growth of more than 10,000 applications was registered. The Apple App store is still in the lead which boasts over 200K apps but with the sudden growth of Apps in the Android Market, we might see the Apple Store running behind. According to official reports, Google is activating more than 200,000 devices a day which obviously would ask for more from users. Last quarter’s smartphone sales report suggested that 27% of the sales included Google’s mobile OS. In Q2 2010, the Android outsold the iPhone as the Apple gadget report a total market share sold of 23%. One of the advantages of an open platform is the opportunity for developers to create rich mobile experiences and seamlessly get those experiences into the hands of consumers. From new services, such as Voice Actions, to mobile applications, developer-led Android innovation is flourishing. On Android Market alone, the number of applications available to consumers has grown from just 50 applications two years ago to more than 80,000 applications today.